Hi everyone! It’s me, Jake from Seika Town Office. Today, I would like to share my experience hosting my first International Exchange Salon, which took place last December. My background is in Mechanical Engineering, so when I decided to host my first salon, it made sense to do it on a topic related to technology. This time, my salon was about American vehicles like cars, trains, buses and airplanes. A total of 7 people came, which was perfect because we were able to discuss the information rather than just lecture. I started off with a brief introduction to vehicles in the United States, mostly talking about famous ones that many people know such as the Wright Brothers airplanes and the Ford Mustang. After that I covered a variety of new technologies being produced in the United States such as electric cars, bullet trains and airplanes. I even got to talk about rockets and drones for a bit. Many of the participants were somewhat familiar with the technology that I introduced and some of them were even more knowledgeable than I was! 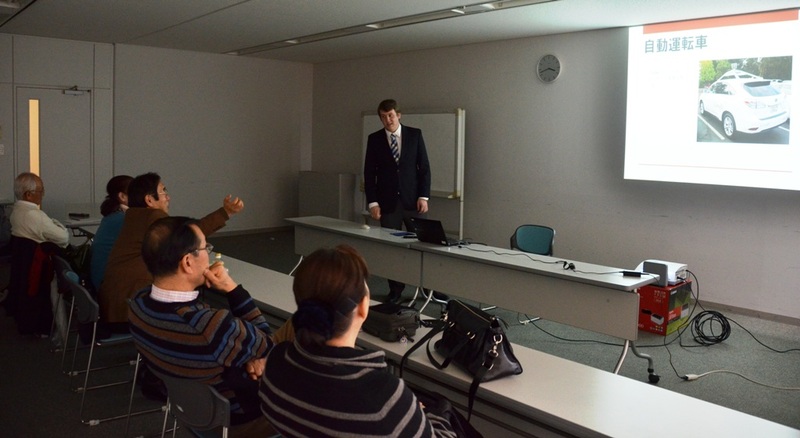 We discussed the technology behind the Shinkansen thoroughly and I learned a few things as well. There were also many good questions about the information and it seemed that everyone enjoyed the topic. My next International Exchange Salon will be in February on the 26th. February’s topic will be about the production of energy in the United States. I will post again after that to let you know how it went! Alice from Kyoto Prefectural International Center! 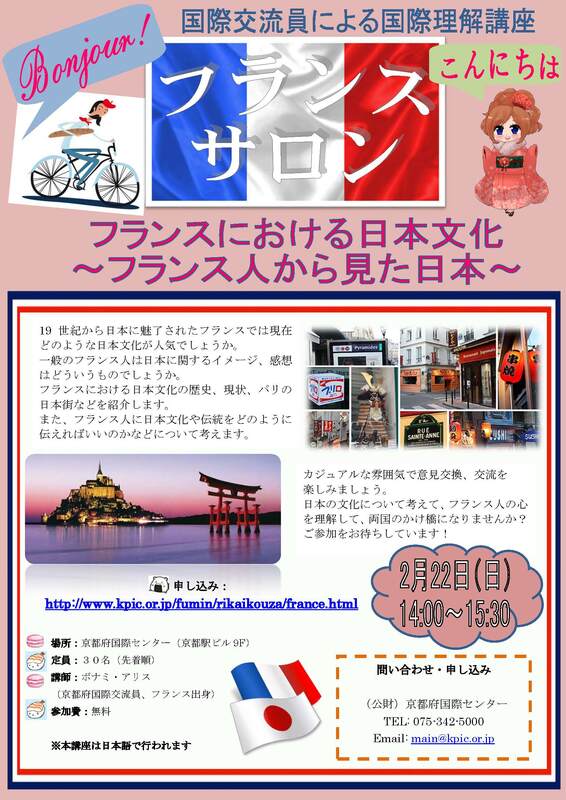 This event will be held in Japanese. I am waiting for you! 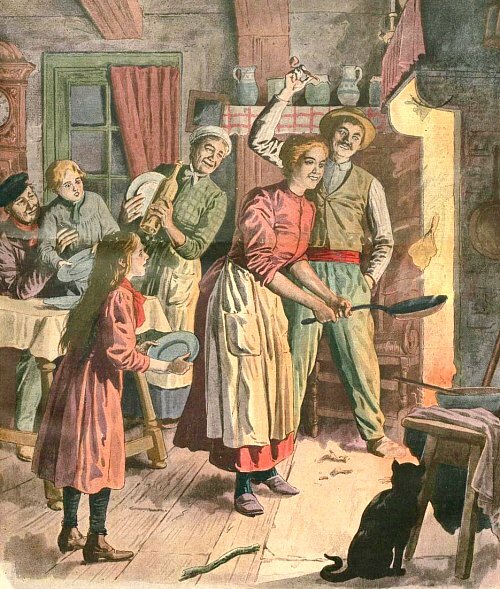 Every year on February 2nd, we celebrate a day called “Chandeleur” in France. 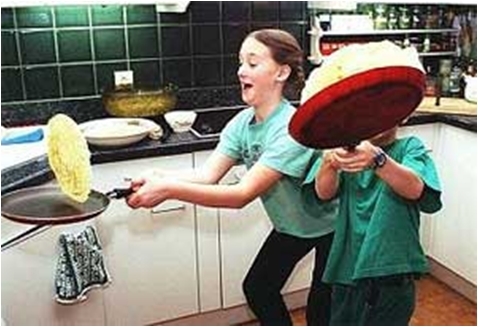 During this day, almost every family cooks crepes and eats them together. Even in Japan I cook crepes at home on that day. In the olden times, it was around that time of the year that the sowing of crops started. People then used the remaining seeds to make flour and cook crepes. In order for the crops to grow well and the harvest to be plentiful, people went to church to pray for protection from bad weather, storms and death and lit candles, bringing one back to their home for good luck. Before Christianity, there was also a pagan festival held during that time of the year, called “Pan’s day” where people held torches and walked around town. A candle in French is called “chandelle”, hence the name of this day, “chandeleur”. Christians used to go to Rome during that time of the year for benediction, and the Pope of the time, Gelase the 1st, used to distribute crepes to hungry pilgrims. It is also said that crepes, with their round shape and yellow color symbolize the sun and are a reminder that warm spring days are soon to come after winter. There is a ritual associated with cooking crepes on that day. It tends to be forgotten nowadays but some families keep the old tradition alive. One usually has to flip the crepe with their right hand while holding a coin in the left hand, in order to enjoy wealth and prosperity for the year to come. 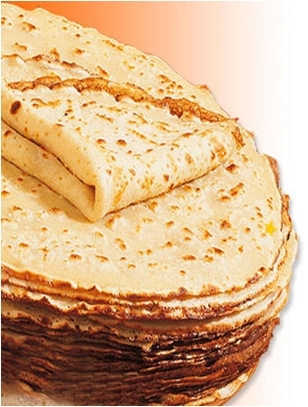 Another legend advises to roll the coin into the first cooked crepe and put it on top of a wardrobe; it will not rot, will ensure one will always have food for the year, and wards off poverty if that coin is given to the first beggar coming to the house. 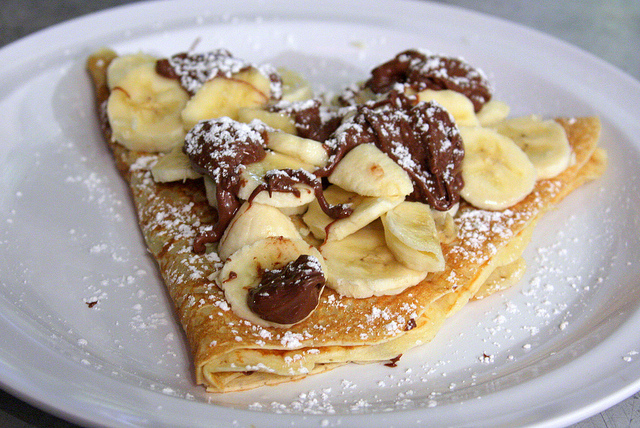 Crepes are often eaten with sugar, Nutella, cream and fruits. The most common crepe is made from white flour, but France is also famous for a darker crepe called a “galette”, made from buckwheat flour. It is especially famous in Brittany, a region with the perfect weather to cultivate buckwheat. In Brittany, galettes are often eaten with a sausage rolled inside, giving it its nickname “Brittany’s hotdog”, a snack that is often found during festivals. 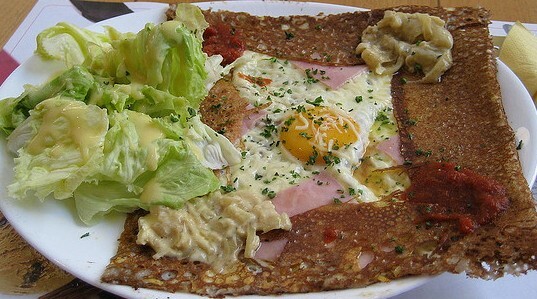 Galettes are also eaten with ham, cheese and eggs as toppings, and apple cider (cidre) is the right drink for this dish. Now it’s time to go to the kitchen and cook those crepes!